As a benefit to our membership, AIA Central Oklahoma maintains a job openings page and a resume file. Please visit our job openings page for the most current job postings and if you are looking for your next great employee, please visit our resume page. 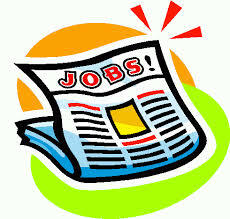 If you would like to submit a job opening for our job opening page, please email your opening to aiacoc@cox.net. Please note that postings must be 150 words or less. We post job openings free of charge to our AIA Central Oklahoma members. If you are not an AIA Central Oklahoma member and would like to post an opening, submit your job opening along with your billing address. It is $50 for a 30 day posting for nonmembers. If you are looking for work and would like to post your resume, please email your resume in pdf format to aiacoc@cox.net. Resume posting is a member benefit and we only post resumes for our current members.